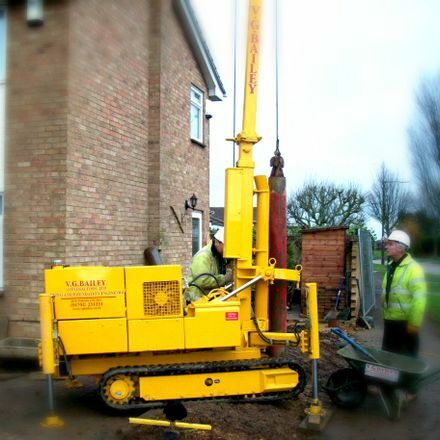 When your construction is lacking in headroom, look to our trusted mini piling contractors. 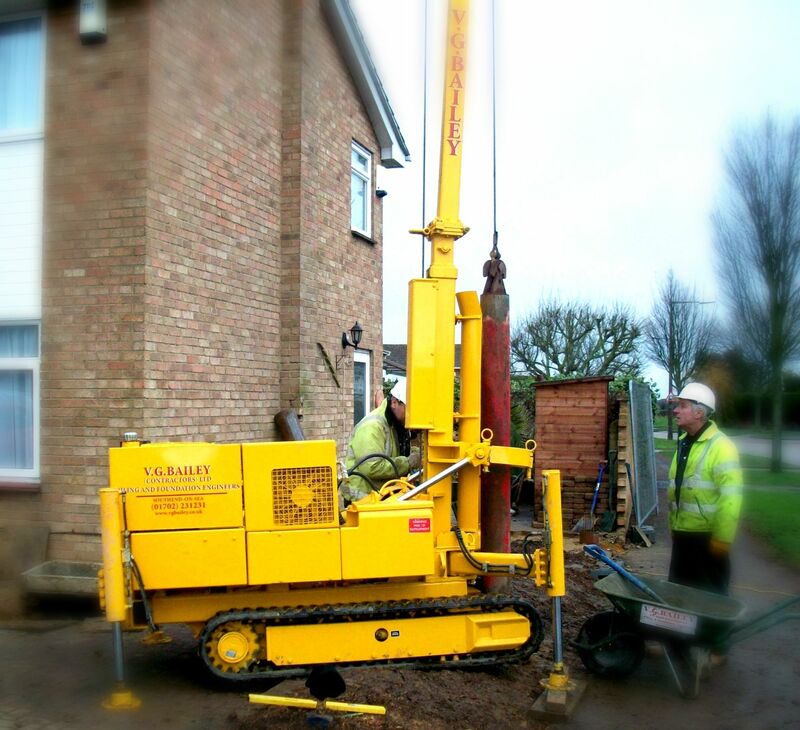 Located in Rayleigh, Essex, we provide restricted access piling inside existing buildings. 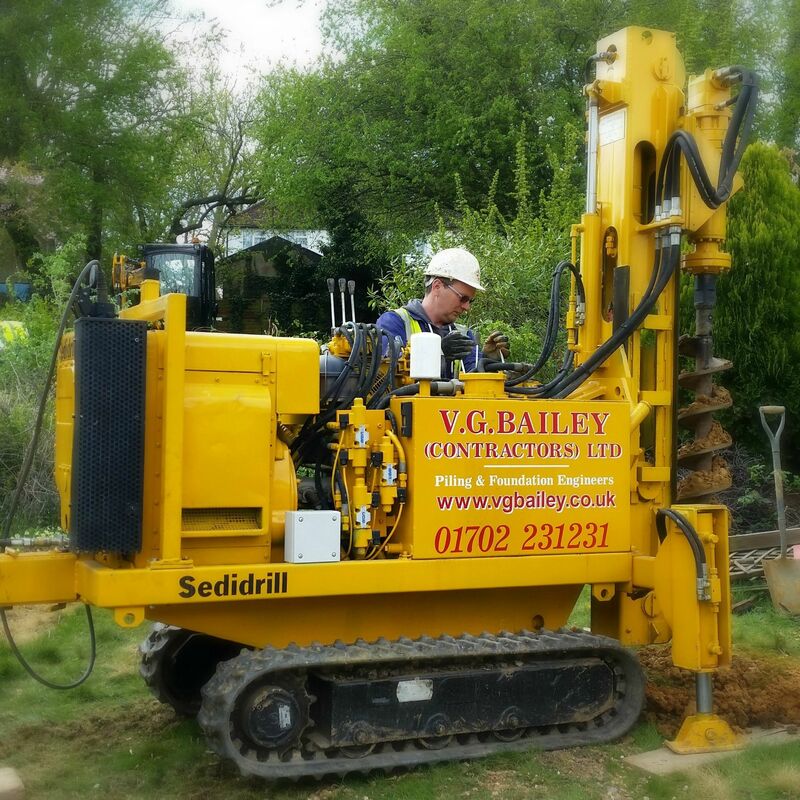 We have experienced projects of this nature in Kent and Surrey, and offer two effective methods of mini piling to increase the efficiency of your operation. For mini piling, our open bore machine is ideally suited to clay soil conditions and can reach depths of up to 20 metres with little headroom height required for operation. 150mm, 200mm, and 300m diameter piles are offered on this lightweight machine. 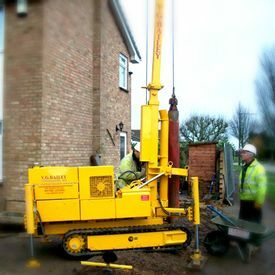 The hydraulic crawler based machine is 750mm wide, which makes it ideal for restricted entrances such as internal and external doors as well as side gates. The drop hammer machine used by V G Bailey (Contractors) Ltd. is slighter larger than the open bore machine, however isn’t any less effective. This particular machine is suited to wet sand and gravel subsoils where an open bore method cannot be achieved. Pre-formed steel piles are bottom driven into the ground by dropping a weight from predetermined heights. This is repeated until a satisfactory set has been reached to take the kN loading of the pile. Additionally, we support 150mm and 220mm diameter piles with this machine.